The Global Coral Reef Alliance is a small, 501(c)(3) non-profit organization dedicated to growing, protecting and managing the most threatened of all marine ecosystems - coral reefs. Founded in 1990. Photo May 2012, Pemuteran, Bali, by EunJae Im. 5 year old Biorock reef on formerly barren sand. Please help Lloyd and his team of young Australian innovators create the ultimate underwater superhero headquarters for Tik and his fishy friend, Bubbles. Lauderdale-By-The-Sea Commissioners snorkel on the first US Biorock coral reef restoration project. Pompano Pelican article August 23, 2013. Watch Reef Reborn 2013 by Rani Morrow-Wuigk, June 18, 2013. 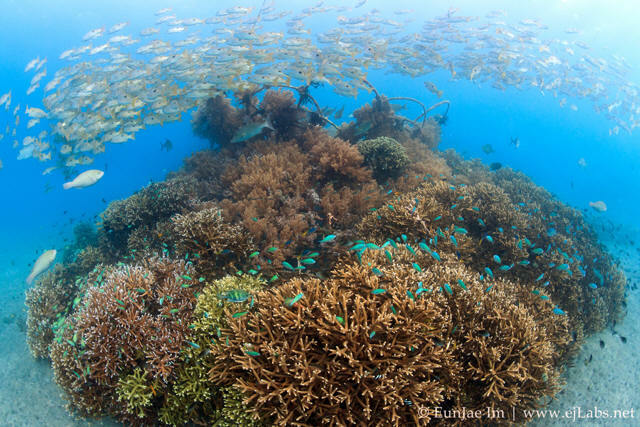 See the results of how Biorock technology turned a barren underwater landscape into a thriving coral garden in Indonesia. Protection by the Village of Pemuteran, Biorock Technology and a dedicated team made this possible. The Coral Goddess, May 21, 2013, watch the video of the update after two years of the Coral Goddess being sunk in the Coral Restoration Project "Karang Lestari". 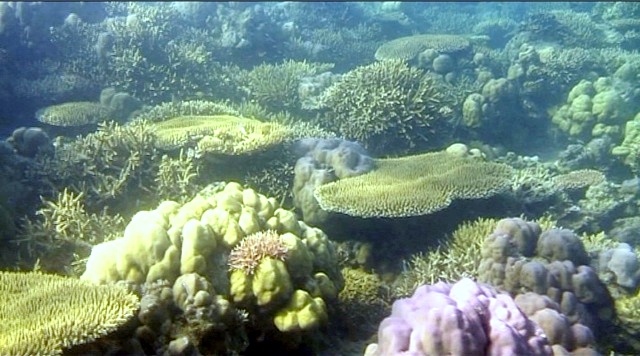 Biorock coral reef restoration in the Maldives on the BBC, Sept 6 2012. Dr. Goreau's response to the author. GCRA to start Biorock coral reef restoration projects in Malaysia with the Malaysian Society for Nature, Elly Fazaniza, TheSundayDaily, Malaysia. Biorock giving new life to coral reefs in Indonesia. The Guardian June 8 2012, World Oceans Day. URGENT: PLEASE HELP SAVE THE BEST REEF ON MAJURO FROM BEING DESTROYED WITH US GOVERNMENT FUNDS! Dolphins collaborate with Brazilian fishermen for mutual benefit. 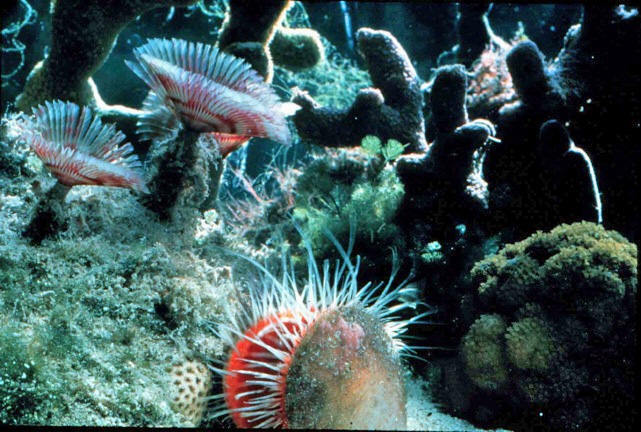 Please support this petition against destroying Australian corals by pollution from golf course development and dredging wetlands for marina development. This area is known for having some of the highest coral cover in the Great Barrier Reef. Awakening of the senses, Gili Trawangan is not just about having fun in the sun. Join Mallika Naguran as she dives deeper into this islandÌs underwater garden for a spot of coral reef restoration, Mallika Naguran, Foued Kaddachi, March/April, 2012. Expansion of Port Everglades threatens fragile South Florida corals. Sierra Club, March 16 2012. Comments Regarding the Sierra Club statement, Thomas Goreau. Please sign this petition to save the last good reefs on Majuro from being destroyed. 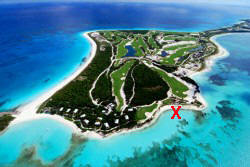 This project would destroy the future of the Marshallese people for profit by the richest people in the country. Belize Referendum rejects offshore oil drilling on their coral reefs by 96% to 4%! Please support the right of the Indigenous Chagossians to return to their homes and to locally manage their coral reefs. Congratulations to Seth Greenspan for winning the PADI "Sea the Change" environmental film competition with his great film "Putting the Pieces Together" featuring Biorock reef restoration projects in Indonesia. Click here for PADI's announcement. Happy Winter Solstice from the Global Coral Reef Alliance. Here is a snorkel on a few of our hundreds of Biorock reefs in Bali, Indonesia. 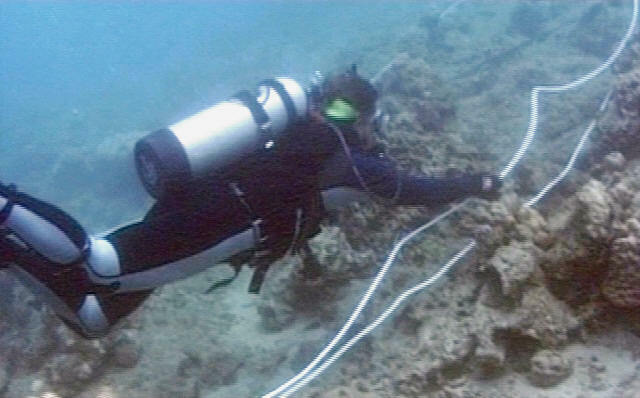 When the project began this site was largely dead corals with few fishes. Biorock structures were designed by the late Wolf Hilbertz. Reef Reborn Ò Into the Unseen World, Most of BaliÌs coral reefs have been destroyed. Coral bleaching and aggressive fishing have wiped out the reefs and much of the marine life. This is the story of a new technology which rebuilds coral reefs faster than they would naturally. CORALS OF TRAWANGAN by Seth Greenspan, This 22-minute mini-documentary explores the myriad of complexities facing sustainable coral reefs in the face of increasing pressures from industrialization and associated climate change, while following Dr. Thomas Goreau's revolutionary efforts to help revive dying coral reefs and protect the future of endangered hard corals through the Biorock® workshops in Gili Trawangan, Indonesia. Coral Reef Free-For-All provides a forum and encourages candid discussion of coral reef issues, including the politics (Yes! The politics! How and why human failings are killing coral reefs!) Of coral reef ecosystem research, conservation, and education -- issues that are in vital need of being aired among marine and coral researchers. Coral Reef and Fisheries Habitat Restoration in the Coral Triangle: The Key to Sustainable Reef Management, Proceeding of Coral Reef Management Symposium on Coral Triangle Area, 2010, Thomas J. Goreau, PhD. GCRA is a non-profit, all-volunteer, 501 (c)(3) corporation; donations to Global Coral Reef Alliance are fully tax-deductible. No salaries or board perks are ever taken out of any income raisedÛ100% of funds raised goes directly to studying, building and restoring coral reefs around the world. Copyright © 2007 Global Coral Reef Alliance. All rights reserved.